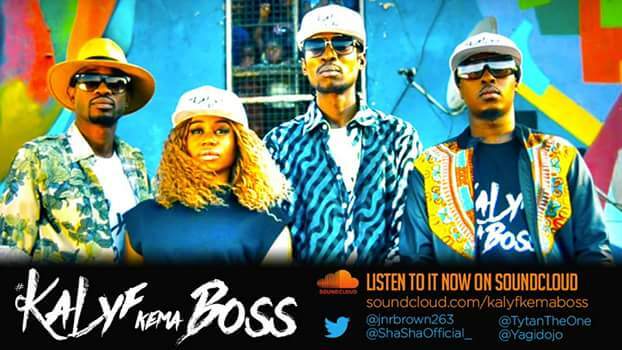 The Hardest Working Man In Town Yagi Dojo has teamed up with Jnr Brown,Tytan and Shasha to give bossniggaz and youngins looking to elevate to bossnigga levels a joint to nod their heads to while doing whatever it is that bosses do.Shasha did the honours on the chorus crooning bout how any real boss is posed to know what it takes to keep a high class lady satisfied.Breezy and Tytan quip in to add extra flavour to the chorus repeatedly chanting 'boss,Mdhara' as Shasha assures them that they are indeed the bosses. First verse sees Breezy getting his fresh on and hitting the streets to get that money (even bosses gotta work right).He doesn't shy away from the fact that its all for the Queen in his life stating matter of factly that after getting the keys to the city he will pass them to his lady because that's the Boss thing to do.He also handles the second verse proclaiming he is gunning for glory on his own as many hang around friends just wanna use you for their own betterment. Wotsvaga chiCookie chako wovaka empire"
Tytan aka King Mukoko adds a ndebele flair to the whole affair dropping ndebele sixteens on the last verse.He doesn't really deviate from the theme tuning his lady that she doesn't have to work since he is hellbent on transforming her from peasant to "Queen Mukoko" with all the perks that come with that title.So from henceforth the focus is on profits till they conquer everything and become "Boss Zonkes".A couple of pictures accompanied this release and we only hope it turns out to be evidence of a video already done and dusted after all that's that Bossy Life.